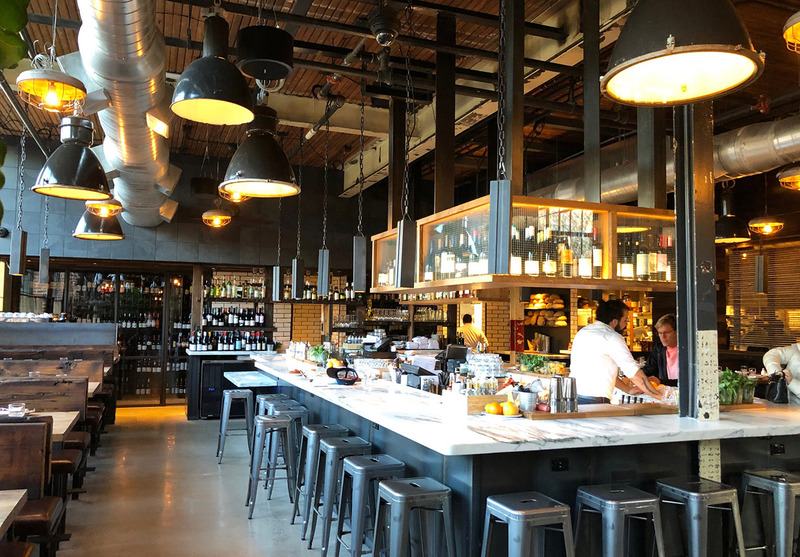 Barcelona Wine Bar, a popular Spanish tapas and wine bar with a chic European vibe, is now open in South End’s Design Center next to Superica. 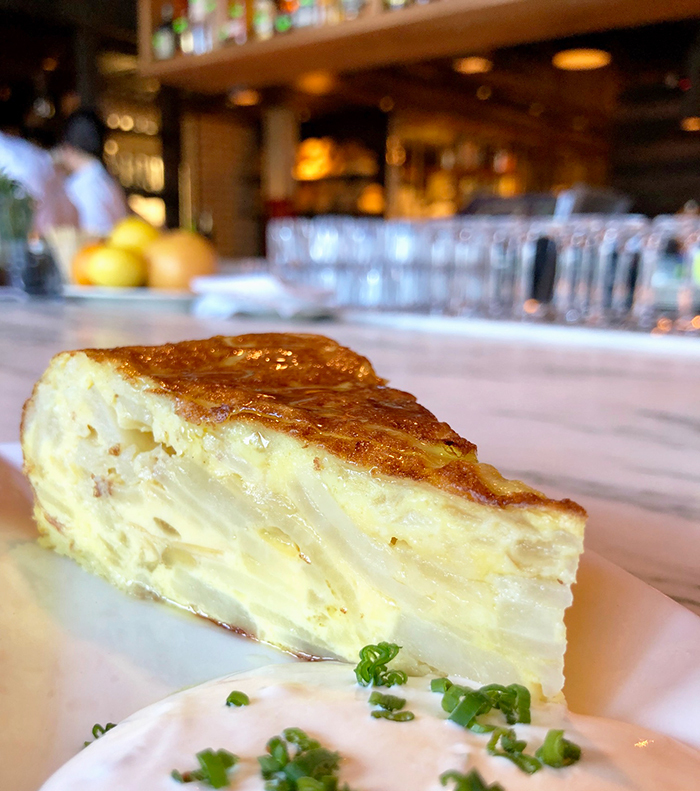 Barcelona combines rustic classic Spanish and Mediterranean flavors with other influences from North Africa and Southern France, and the result is a delicious array of tapas, dried savory meat and Spanish cheeses that pair perfectly with the wide selection of wine from Barcelona’s expansive menu. 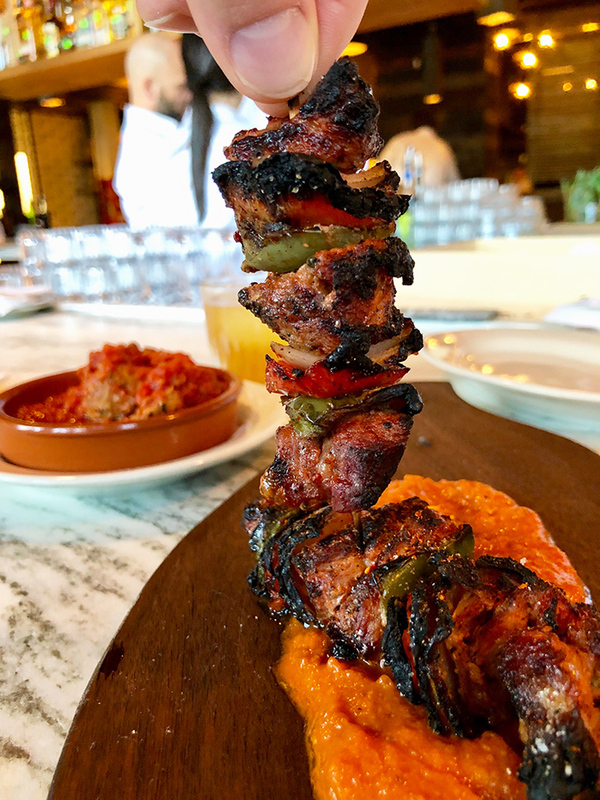 The restaurant and bar is already off to a red-hot start. Barcelona will be packed for the foreseeable future. 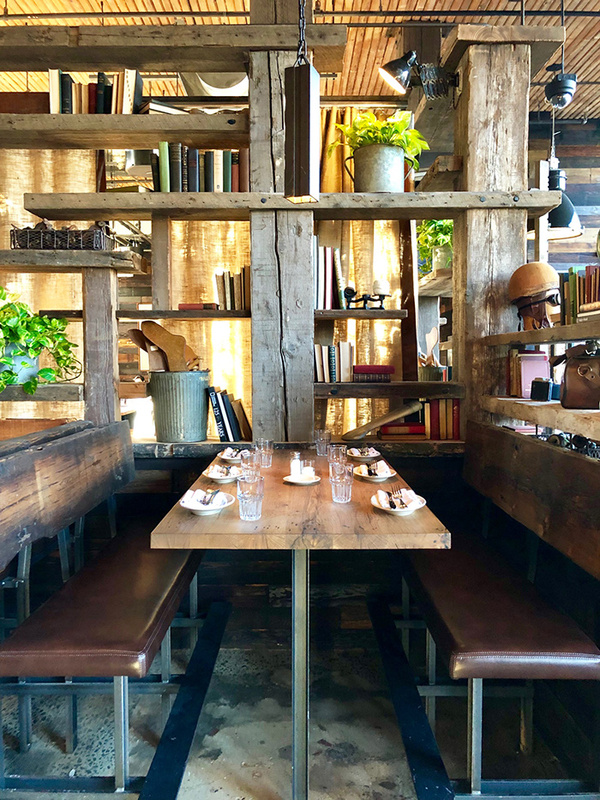 It feels like the love child of Soul Gastrolounge, Foxcroft Wine and Superica — which is one helluva love child. I’m bullish, very bullish. 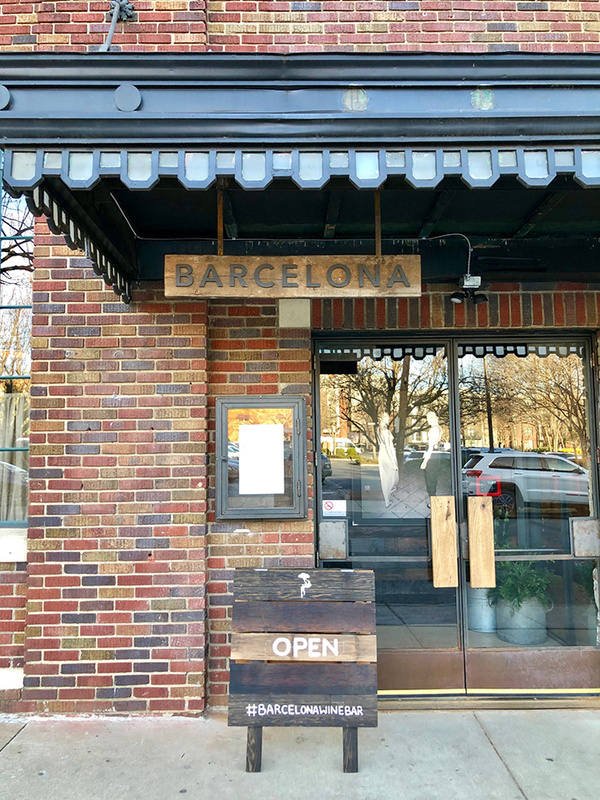 Currently, Barcelona is open everyday starting at 4 p.m. Other locations offer weekend brunch, but this is not available in Charlotte right now. 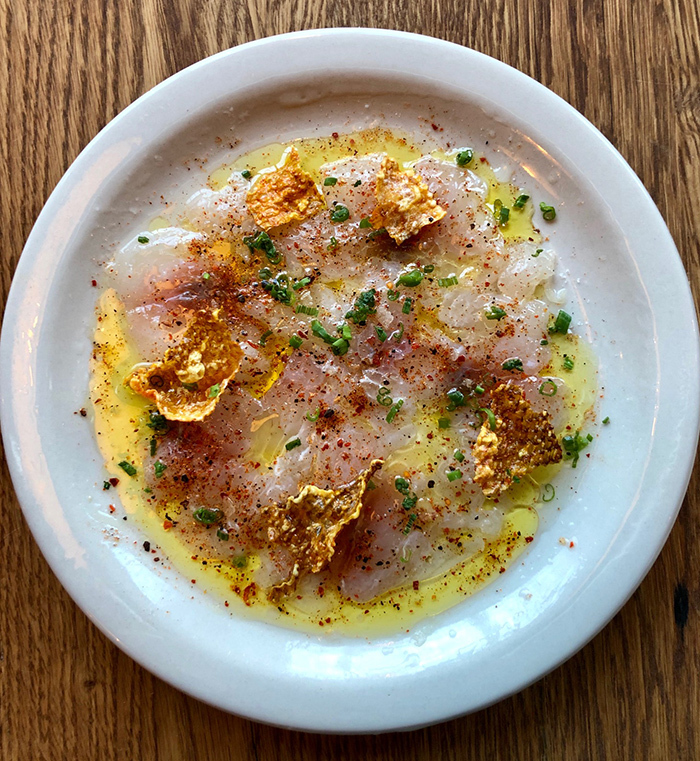 Here are 11 things to know about Barcelona Wine Bar. The exact address is 101 W. Worthington Ave., Suite 110. It’s in the Design Center, which also houses Superica, Jeni’s Ice Creams and Hawkers. Barcelona has about 15 locations throughout the United States. (1) There are more than 400 bottles of wine to choose from. Barcelona’s wine menu is exceptionally broad and composed of roughly 60 percent Spanish wines along with South American wines, especially from Argentina, Chile, and Uruguay, plus many from the U.S. and other areas of Europe. The price points range from a very high-end $700-$800 tier to more accessible bottles in $20-30 range. Servers are extremely wine savvy and can point you in the right direction. Currently, Barcelona has about 50 wine options by the glass and you can also choose to do a three-taste “wine flight” that’ll run you about $15. And if you’re with a group, consider their sangria pitchers. (2) You can mix and match to make your perfect cheese and meat board. 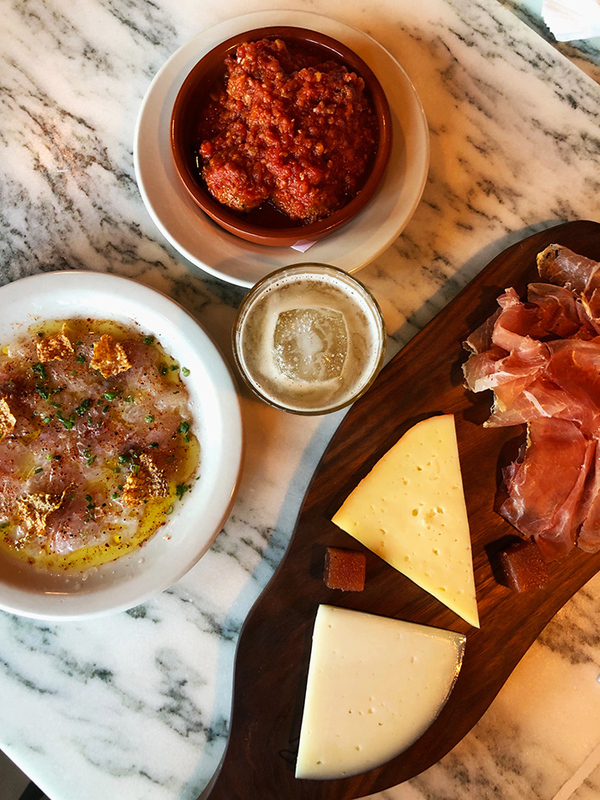 Barcelona offers a Charcuterie + Cheese board that you can customize with your own specific selection of meats and cheeses sourced from Spain, Italy and other nearby European countries. It’ll run you $6.50 for one and $17.50 for three. Barcelona offers about 15 choices for your mixing and matching pleasure. The cheese list includes a lot of sheep and goat selections, including the “Romao” sheep’s milk cheese, which comes from a wheel rubbed with rosemary so the cheese is fragrant with a nutty herbal flavor. This cheese is actually aged in Cuenca caves for eight months and has a harder texture and a sharper taste similar to familiar Parmesan cheese. 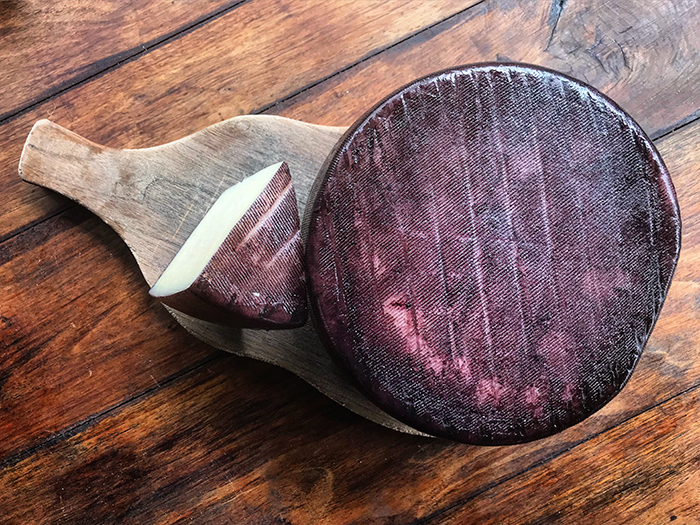 Drunken goat cheese has a purple rind because it’s been soaked in wine for three days. The legend behind the drunken cheese is that a farmer accidentally dropped a wheel of cheese in a barrel of wine, and upon discovering it three days later, decided that the wine had improved the taste. (3) They slice meat straight from the pig’s leg. 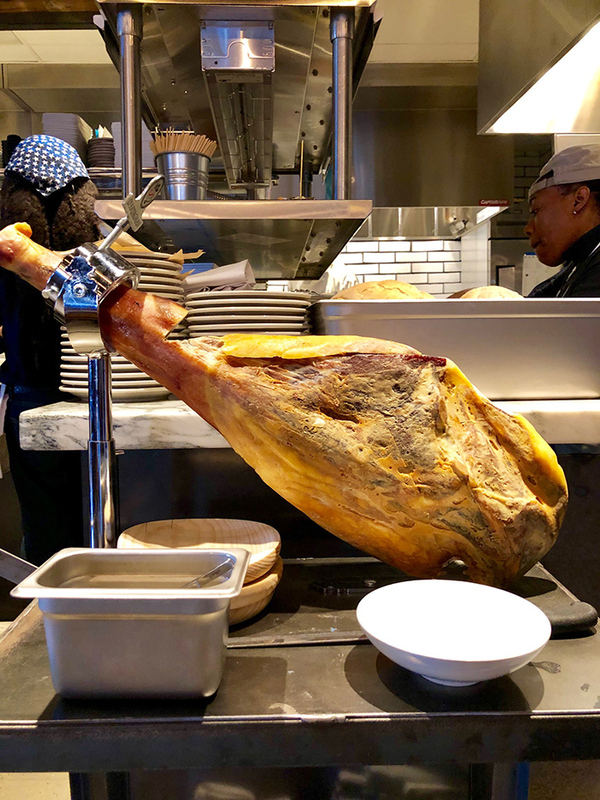 Barcelona has an open kitchen where you can watch the chef at work, and, if you’re lucky, you may catch a jamón slicing. Like many restaurants in Spain, Barcelona serves meat right off the leg. They can actually wheel the leg of meat to your table and slice it. The specific leg offered at Barcelona comes from free-range pigs that feed on an all vegetarian diet. The “Jamon Mangalica” meat has more fat marbling than other dried jamón, and it has a nuttier flavor profile largely due to its diet. (4) With more than 27 small plates to choose from, you can choose your own dining adventure. Similiar to Soul Gastrolounge, the best way to experience Barcelona is to order several tapas to share. (5) Barcelona’s paella is as crispy and delicious as it is Instagrammable. Paella, one of Barcelona’s most popular dishes, is made to order from scratch for up to three people and is perfect for sharing after tapas. The paella is beautifully presented in a skillet and brought to the table still piping hot. The top layer is soft and teeming with either seafood or veggies, while the bottom layer is a crispy delicious crust. 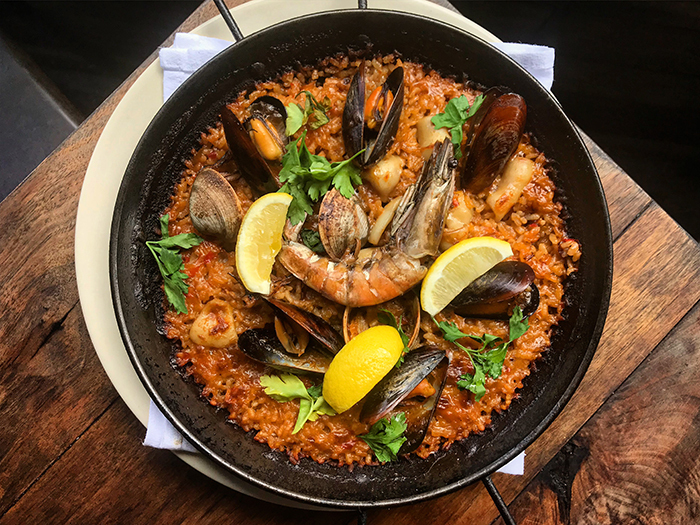 The “Mariscos” seafood paella features a lobster stock with saffron seasoning, and it includes prawns, calamari, mussels and clams. It is truly the piece de resistance (or plato principal in Spanish) of a meal at Barcelona. (6) They put truffles on their steak. 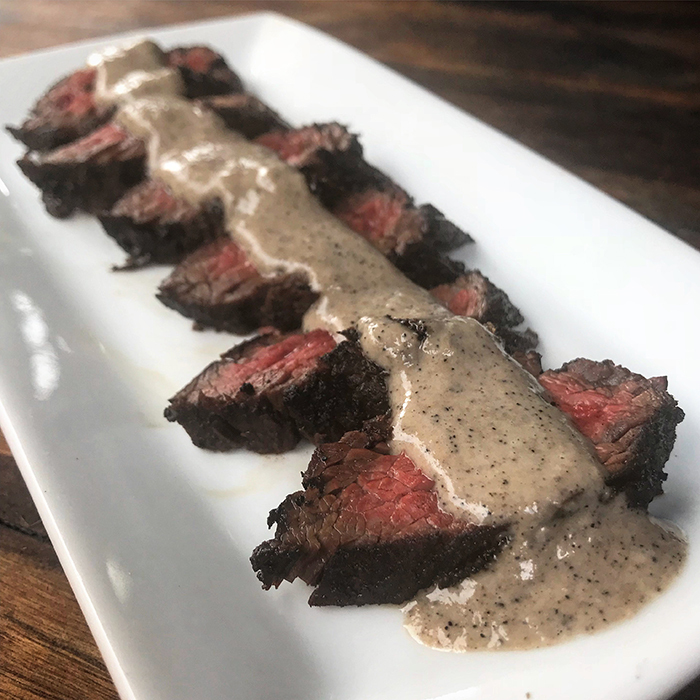 Not only is the “Hangar Steak” at Barcelona tender and juicy, this medium-rare “butchers cut” steak is also topped with an aromatic exquisitely flavorful truffle vinaigrette. The sauce is made of black truffle peelings, shallots, white truffle oil and Dijon mustard, and it a powerful scent you can smell before the dish arrives at the table. (7) You can mingle and be single at the bar, hang out with a group of friends in a booth, or enjoy a date night at a table. 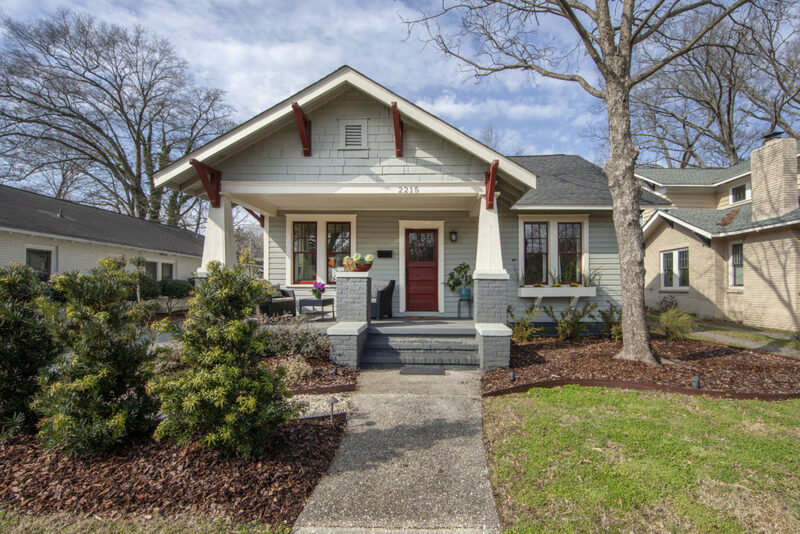 The layout and design of every Barcelona is meant to fit in with the character of the surrounding neighborhood. The company spent well over $1 million on this South End upfit — and it shows. 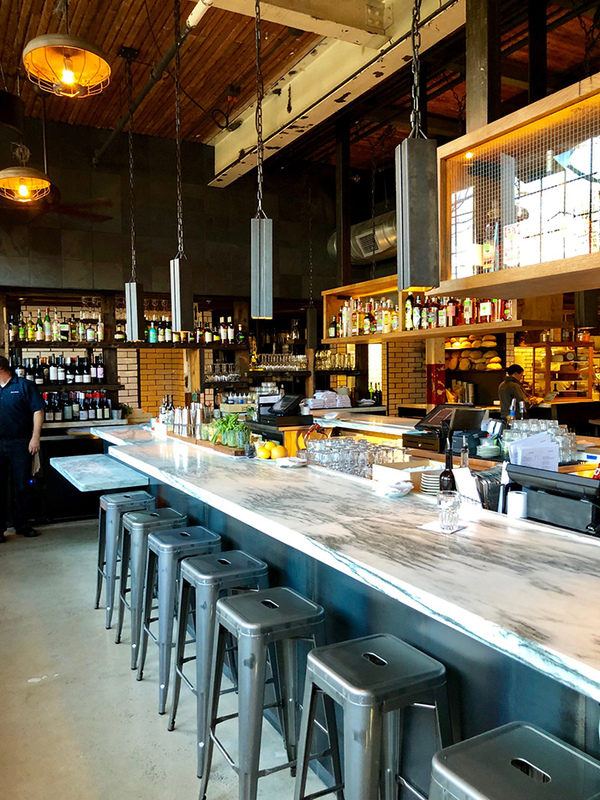 You’ll find a a popular u-shaped bar for the Saturday night crowd, romantic small tables for date night, wide banquettes for the whole family and a casual patio perfect for happy hour once the weather warms up. 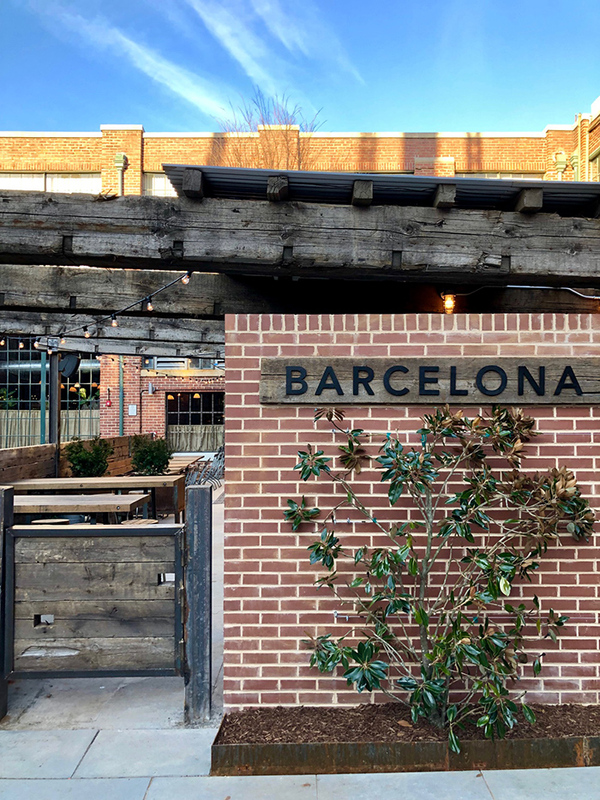 Note: Barcelona also has a courtyard-style patio out back with its own bar, which will be slammed this spring. (8) Barcelona put an interesting spin on the classic meatball. 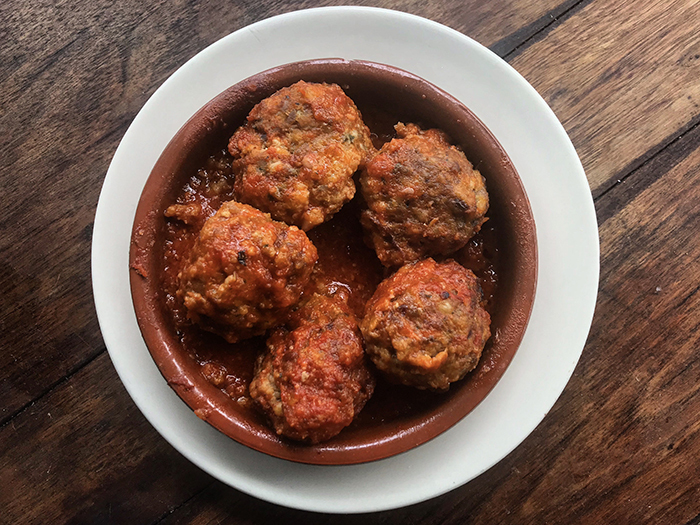 The “Albondigas” meatballs includes five small balls made of spiced pork, beef and veal for a juicy rich bite. The sauce is made of a thick tomato base blended with boquerones (anchovies) and garlic, which adds a nice salty zesty kick without tasting fishy. (9) Even their restroom situation has a unique design. 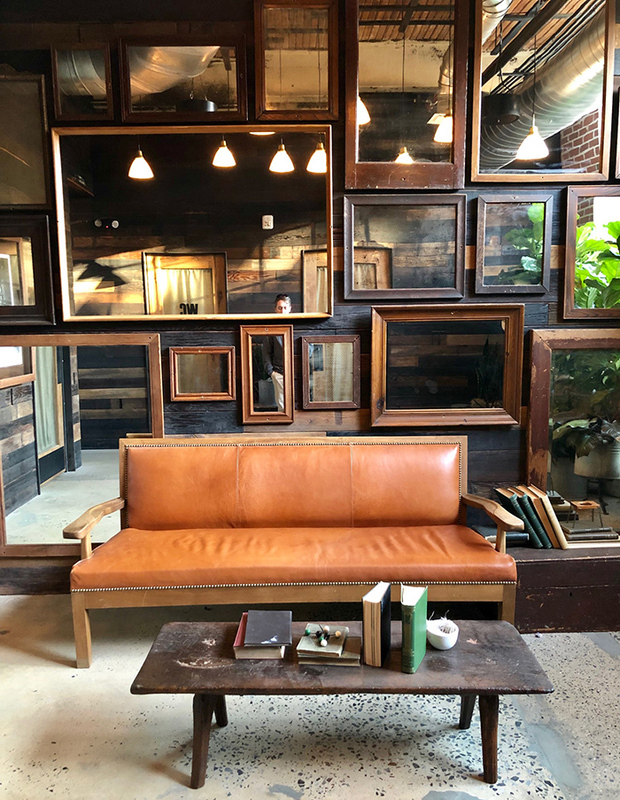 Their are four “WC” restrooms with individual toilets and sinks, but there’s also a cool hangout room with a comfy leather sofa if you’re waiting to use the restroom — or if you’re just into hanging out near bathrooms, which is super creepy. 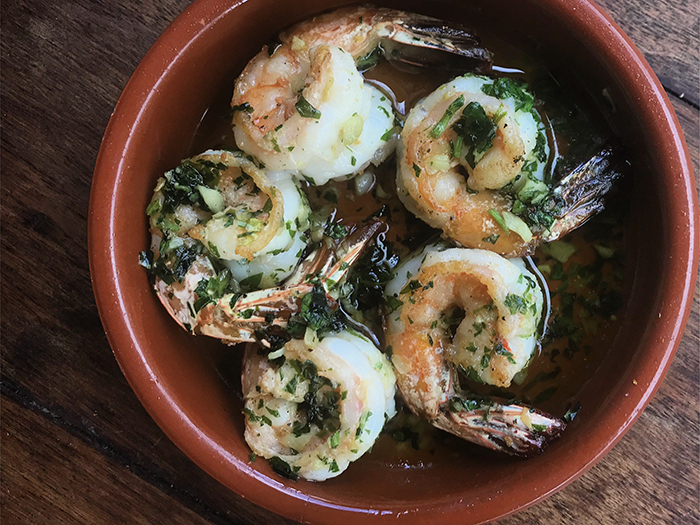 (10) Barcelona’s garlicky shrimp are so good you won’t want to share. The “Gambas al Ajillo” features shrimp cooked in a garlicky olive oil with Guindilla pepper for hint of heat. These tail-on shrimp are buttery perfectly cooked bites that you will not want to share. (11) Their late-night bar scene is hopping, and their cocktails will make you think you’re in Spain. In addition to wine, Barcelona features nine craft cocktails ranging from $7.50 to $12.50. 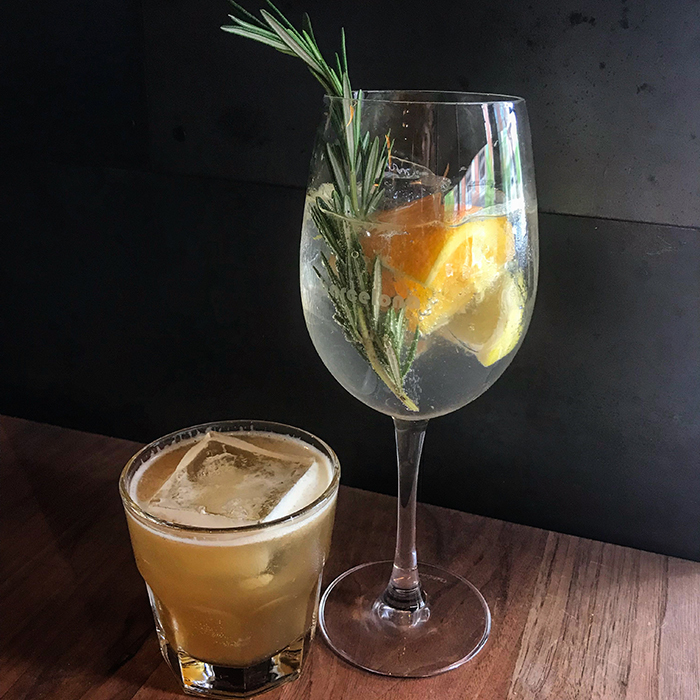 The signature “Barcelona Gintonic” features dry gin, orange and lemon and a healthy sprig of rosemary served Spanish style in a wine glass. Other popular cocktails include the “Whiskey Root” and “Spice Rack,” both bourbon based.